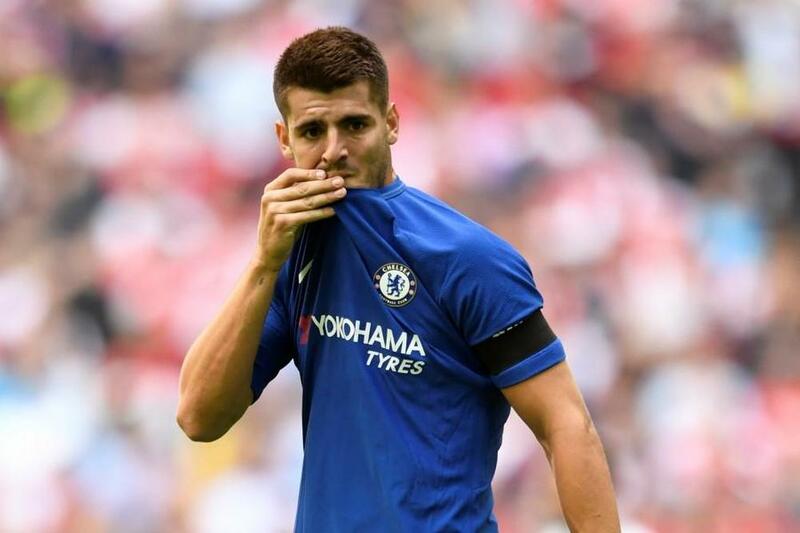 Chelsea manager Antonio Conte has urged Alvaro Morata to overcome his ‘stupid’ confidence after going through a difficult streak with the Blues. The Spain international had not scored for the club since Boxing Day, and he did himself no favours last week after he was sent off against the Norwich City in the FA Cup third-round replay. The Blues continued to beat the Canaries on penalties, and they have since thrashed Brighton & Hove Albion by a 4-0 scoreline on the road. Speaking ahead of the League Cup semi-final versus Arsenal, Conte supported the striker through his difficult but wants the Spaniard to overcome his ‘stupid’ problems in order to regain his goalscoring form. 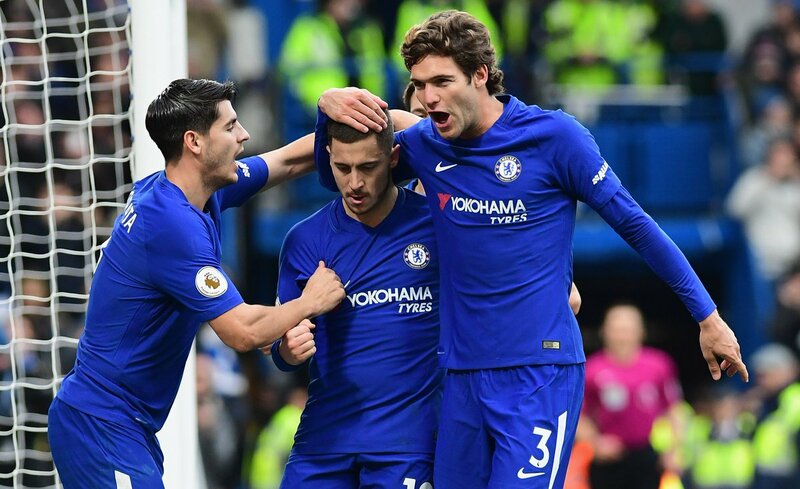 Chelsea manager Antonio Conte has hailed the partnership of Eden Hazard and Alvaro Morata following the Blues’ 1-1 draw versus Liverpool on Saturday afternoon. The pair were in a constant presence in the Reds half during the course of the game, and Conte was ultimately disappointed to have come out with only a draw. Spain international Alvaro Morata started the season as the main man in the Blues attack, but Hazard has left his mark on the playing field ever since his return from an ankle injury. The former Lille man has been contributing constantly towards the club’s progress in recent weeks, and the Anfield game was no different as he popped up with a defining assist for Willian’s freak goal in the 85th minute. Spain national team coach Julen Lopetegui has confirmed that striker Diego Costa will be included in the national team fold only when he sorts out his future. The striker has been unable to feature in the Chelsea first-team nor has he been able to secure the transfer to Atletico Madrid. Both clubs have been unable to agree on a transfer fee before the end of the summer transfer window. As a result, Costa will be remaining as a Chelsea player – without playing – until January. Chelsea are demanding around £ 50 million for his signature while Atletico are not prepared to pay more than £ 30 million. 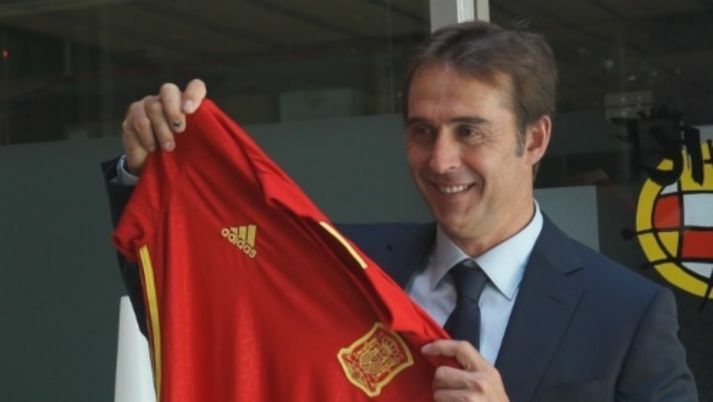 Spain national team boss took the surprise step of bringing backLopetegui to the national team fold for the upcoming World Cup 2018 qualifiers. Spain are up against Italy and Liechtenstein September. The national team has to win these games in order to seal qualification to the World Cup 2018 in Russia. Spain are top of the group G, but they are only in this position due to a better goal difference than Italy. A positive result for the latter in the upcoming fixture would be disastrous for Spain, as it would mean a possible play-off place for the team. For a player that has managed to be around and active in the terrains of professional football, have an amazing run with both club and country, Sergio Ramos has time and again betrayed the elder statesman status he ought to be living at this time and age of his career. The Andalusian is a fine player no doubt and an intelligent one even given how he seamlessly transitioned from being a right back to a center back. However, the thing with professional football is that you may play over 50 matches a season but the tiny bits of edge-of-the-cliff moments most times define a whole season or tournament. Spain international Nolito is reportedly eyeing a potential return home following an unfruitful first season with Manchester City. The former Celta Vigo attacker joined the Citizens for &pound13.8m last summer after he got the chance to work with Catalan tactician Pep Guardiola. 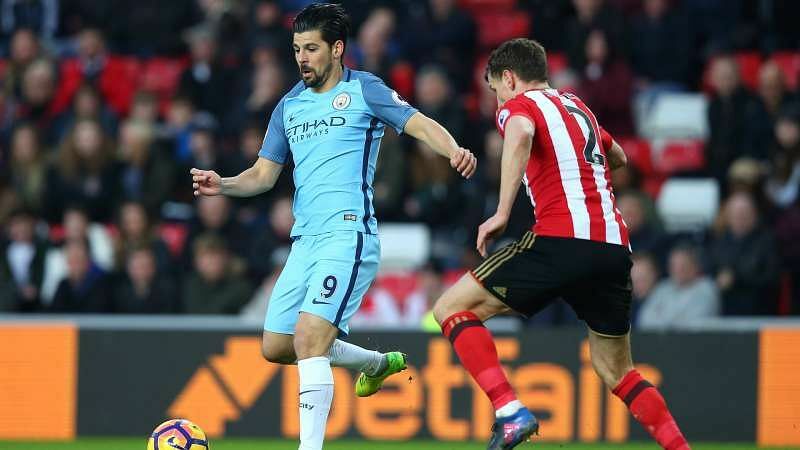 Nolito made a bright start to his Citizens career with six goals and two assists in his first 10 outings, but he therein fell out of favour under Pep with Leroy Sane being preferred ahead of him in the pecking order. The ex-Barcelona man had been restricted to just nine league starts over the course of the previous season, and he now hints that he could move on in order to reclaim his place with Spain for the 2018 World Cup, he told El Transistor: “I am under the contract, so the club will decide, but I want to leave. I haven’t played in six months. 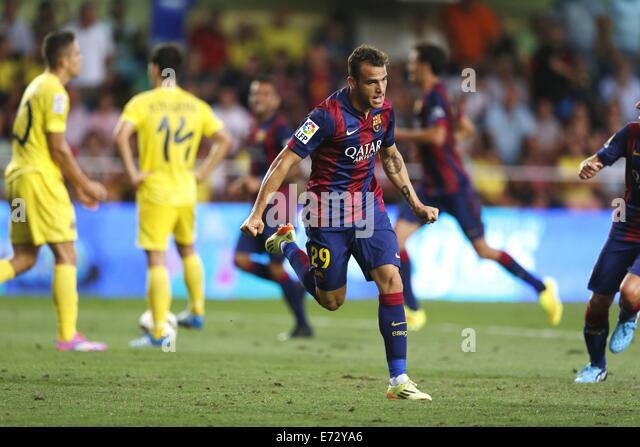 I will do everything possible to make Spain’s World Cup squad. New Spain national team JulenLopetegui believes that the national team is underperforming at the moment and that they will need to improve. He said that there are already some good players in the team and that you just need at the quality of La Liga to understand that there is some good potential in the team. He said that the national team has been underperforming ever since they won the World Cup and the Euros and that they will need to improve. Lopetegui said that he accepted to take charge of the team as he feels that there is some good potential in the Spanish team and it is up to the players to rise to the occasion and make sure they deliver the goods. Luis Suarez is hoping an appeal will save him from missing the Copa del Rey final after being sent off for Barcelona in a bad-tempered semi-final, second leg against Atletico Madrid. Suarez scored the vital goal as three players were dismissed in a 1-1 draw on Tuesday that secured the team’s place in a fourth straight final, Barca winning 3-2 on aggregate. However, the Uruguayan – sent off for the first time in three years since his move to Spain – claimed a stray elbow on Koke as the game entered stoppage time was not even a foul. “It makes me laugh because it was like he [the referee] wanted to do it,” Suarez told Gol Television. “We need to see if we can appeal the second yellow because it isn’t even a foul, but we already know how these things go. Star player Gaston Ramirez has joined up with his teammates in Spain as he is set to continue with the club this term. The player was heavily linked with a move to struggling Leicester City but Boro disallowed the deal. The player is now keen to rebuild his reputation at the club after he handed in a transfer request to exit the Riverside Stadium. The former Southampton player has not featured in the last six games for Boro due to a knee injury he picked up. The 26-year old playmaker would join teammates in Spain for a four-day training break so he can return refreshed for the race to finish the campaign well. Pep Guardiola believes that one of the primary objectives of him switching teams after every few years is the desire to have more and more idea of the game of Football. As per Guardiola, if that desire to gain knowledge was not there, he would not have moved out of Barcelona. His tenure there was going like a dream and he could have glued himself to that position of Barcelona coach. The sword of axe was definitely not hanging over him.